Even a small portion of your income saved on a regular basis can build significant wealth over the years if invested wisely. With interest rates near historic lows many Canadians are looking to the stock markets to boost their investment returns. There are numerous blogs and articles on the web focused on stock investment but many of these assume that you already know how to invest in stocks and very few are targeted at Canadians specifically. Three ways Canadians can start investing in the stock and bond markets will be outlined at an introductory level in this article; mutual funds, discount brokerages and “robo-advisors”. Mutual funds are managed investment funds that pool money from many investors to purchase a large variety of securities (i.e. stock and bonds). This investment method is perhaps the easiest way for inexperienced investors to gain diversified exposure to the stock and bond markets. You can purchase mutual funds from most of Canada’s major banks. A mutual fund incurs many operating fees associated with running the fund and these expenses are passed on to the investor (i.e. you). These fees are usually listed as the MER (Management Expense Ratio) in a mutual fund’s documentation. As an example, a MER of 2% indicates that 2% of the value of your investment will go towards fees each year. If the value of the securities in your mutual fund increase by 6% and the MER is 2%, the value of your mutual fund will only really increase by ~4% (i.e. 6%-2%). You can see how a high MER could have a significant impact on the growth of your investments over time. The fees on mutual funds are notoriously high (especially in Canada), however when you consider the convenience and instant diversification provided by these investments they may still be the right choice for you. My research into Canadian mutual funds brought me to the conclusion that Tangerine had the best offerings for me personally. Tangerine mutual funds have a MER of 1.07% and provide exposure to a diversified portfolio of international stocks, Canadian stocks and Canadian bonds. Also I liked the fact that the initial required investment is only $100. I have bought mutual funds through Tangerine and found the process to be surprisingly quick and straightforward. To buy mutual funds you first need to open a chequing account. The Orange Key "17407399S1" will give you an additional Tangerine sign up bonus. Mutual funds similar to those offered by Tangerine can be purchased from most other Canadian banks but I have found that their fees are usuually higher. Always remember to ask about the MER for the mutual fund you are considering. Mutual funds are a convenient investment option but a disadvantage is that you cannot control which stocks and bonds are held in the fund. If you want to choose the individual stocks you buy rather than letting a mutual fund’s portfolio manager do it for you, you may want to try a discount stock brokerage. I like discount brokerages because they are cheap (often $5-10 per trade) and you can buy exactly what you want. If I wanted to build a diversified portfolio while avoiding certain industries, I could do that by buying individual stocks separately. However, I would caution against buying individual stocks unless you have tens of thousands of dollars to invest, otherwise it may be a challenge to adequately diversify your portfolio. Even $5 per trade can add up if you are buying small amounts of many different stocks. If you are nervous about picking the wrong stocks or do not have a large amount of money to invest, you could try starting with shares of ETFs (exchange traded funds). These funds are in many ways similar to mutual funds in that they include a large number of stocks but they have the advantage that their MERs are typically much lower (think .05 to 0.5% for ETFs compared to 1 to 3% for mutual funds). Most ETFs aim to track a stock index (e.g. S&P/TSX Composite Index, NASDAQ Composite) or a bond index (e.g. Canadian Universe Bond Index). Currently I invest the majority of my savings in various ETFs through my discount brokerage (Questrade). The fact that ETF fees are so much lower than mutual fund fees means I can grow my investments that much faster. I also like that it is free to buy ETFs through my discount brokerage, allowing me to purchase additional shares even if I only have a small amount of money to invest. Many of the major Canadian banks now have their own discount brokerage services (BMO InvestorLine, Scotia iTRADE, RBC Direct Investing), however their fees are typically somewhat more than those charged by the discount brokerages not affiliated with banks (e.g. Qtrade, Questrade, Virtual Brokers). I have only had first-hand experience using Questrade and found them to be very good. The Q-pass "836627054378777" will give you an additional Questrade sign up bonus. To start investing with Questrade you will require a minimum initial investment of $1000. The term “Robo-advisor” refers to a class of financial advisor that provides portfolio management online with minimal human intervention. Typically new users first complete a survey to assess their risk tolerance. The investor can then set up regular payments into their selected portfolio of stock and bond funds. Many of these services will automatically rebalance asset allocations and even take advantage of "tax loss harvesting" for you. Robo-advisor services have been available in the U.S. for a while now (e.g. Wealthfront) but are now starting to become popular in Canada as well (e.g. Wealthsimple, WealthBar, Nest Wealth). I really like the concept of these services, but I have not yet invested any of my own money using them. One downside of some of the robo-adivsor services is the somewhat larger initial investment required (e.g. $5000 initial investment for Wealthsimple). Fortunately this requirement can be waived if you set up automatic deposits. In general, the annual fees charged by robo-advisors will be somewhat less than mutual funds and somewhat more than if you hold comparable ETFs through your discount brokerage. I think that these robo-advisor services could be a good option for someone who likes the idea of having an ETF portfolio, is okay with not having a physical bank to visit, and doesn't want to worry about rebalancing their asset allocations regularly. If you’re completely new to the world of investing I would highly recommend that you do some additional research before investing your hard earned money. Below are a few great resources for beginner investors living in Canada. 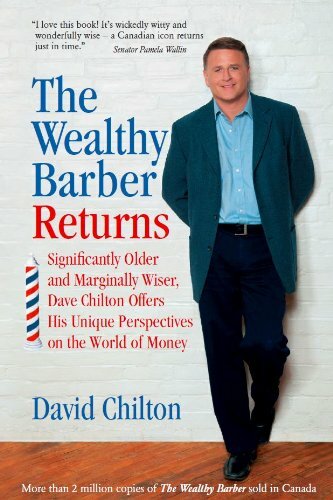 The Wealthy Barber Returns (David Chilton) - I would recommend this as the first book to read for any Canadian who wants to learn the basics of personal finance. 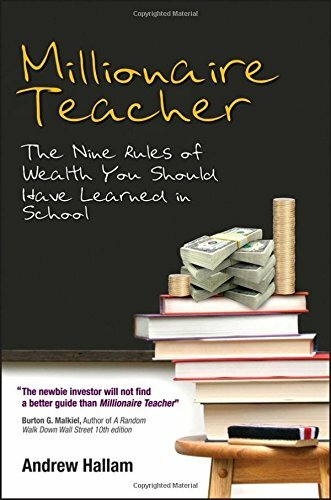 Millionaire Teacher - (Andrew Halam) - In this easy to follow book Andrew Halam explains how to build wealth with a diversified portfolio of index funds (ETFs). Canadian Couch Potato (Dan Bortolotti) - I regularly read this blog focusing on index investing. Many of the posts are very technical but his model portfolios are a great place to start for anyone interested in creating their own ETF based portfolio using a discount brokerage. My preference for ETFs held through a discount brokerage is likely obvious from my descriptions and resource recommendations, however this does not mean that the other options discussed may not be right for you. The key is to start investing sooner than later and to not get hung up on the pros and cons of different investment methods! Disclaimer: I am not a stock broker, financial planner or advisor. The information in this article includes my personal views on various investment options and does not constitute financial advice in any form. My apologies for any information that has become outdated since the publishing of this article. Thank you for the clarification Mallory. That sounds like a nice offer to make the service accessible to new investors. I remember being disappointed by the inaccessibility of stock market investing was when I was younger. There are certainly many more good options for the new investor now :) I added your point about automatic deposits to the article. I also added a note that some details in the article may become outdated as offers and policies change.